The Women's Banks II GTX Boot Narrow from Hanwag is a lightweight and comfortable boot for hiking and trekking as well as other outdoor activities. 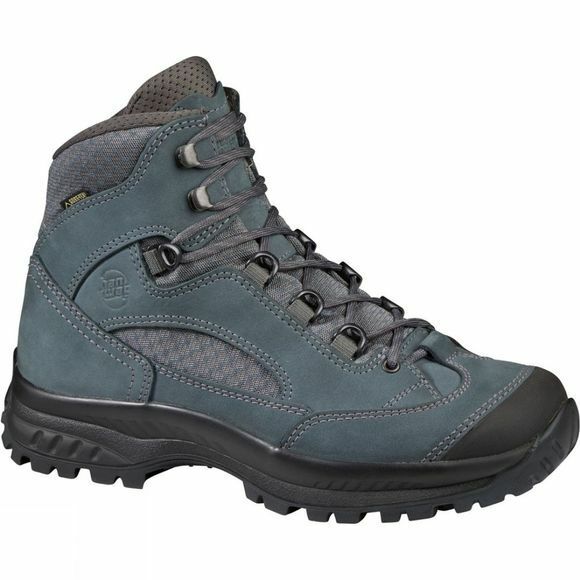 It features a Gore-Tex lining to offer excellent wet weather protection as well as breathability to ensure a healthy environment for your foot. The Air-Pulse system in the boot helps to maintain air circulation for enhanced comfort even on long days out, it works thanks to a pumping action in the tongue and cushioning everytime you take a step. The sole of the boot can be replaced too so even if you wear them out you can keep hold of what will surely become your trusty, beloved boots.